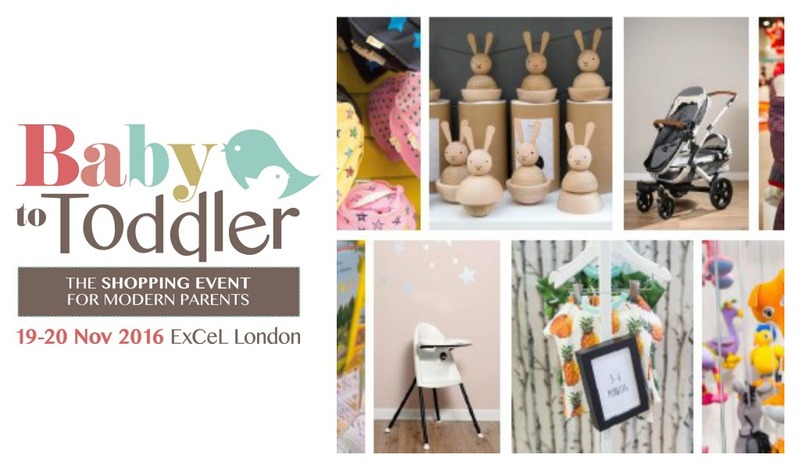 Coming to London ExCeL this autumn, for the very first time, is the Baby to Toddler Show courtesy of the organisers of the renowned Baby Show. This two day shopping event will play host to around 100 exhibitors and is designed for expectant and modern parents with children aged 0-4. The inaugural show will take place at ExCeL London on the weekend of 19th to 20th November 2016. There will be over 100 exhibitors, including Peppermint, the event’s main retail partner and a Feeding Area sponsored by MAM with food provided by Babease. Categories available to buy will include but not limited to: Prams & pushchairs • Buggies & strollers • Nursery furniture & furnishings • Toys • Clothing • Feeding equipment • Car seats • High chairs • Travel • Financial services • Healthcare & wellbeing • Books • Gifts • Bathing & changing • Accessories • Carriers • Safety & security • Maternity • Educational services • Baby and toddler activity classes • Outdoor equipment. If visitors are looking for a new car seat but don’t know how to fit them, then Peppermint has the answer. 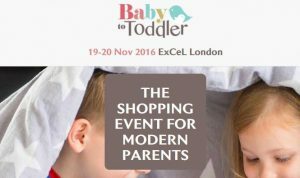 They will be offering the chance to have complimentary car seat fittings, for all brands, in reserved bays in the venue car park. So whether you’re buying a new seat and want it fitted in your vehicle, or you want your existing seat fitted properly, their experts will be on hand to help. Sponge Bob Square Pants will also be attending the Baby to Toddler Show at the Little Bow Peeps Day Nursery where you can drop your toddler off, free of charge, knowing they are being cared for and looked after whilst you shop. 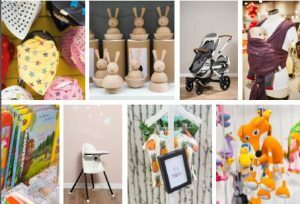 Alongside the shopping stands there will also be a Little London Kids Zone where party organisers, Dazzle and Fizz, will provide entertainment to your children throughout the event. If your son or daughter needs changing there will be a purpose built changing area, with free nappies and wipes, for all visitors to use. If that’s not enough the fantastic mural artist, Alessandra Tortone (www.alessandratortone.com), will take up residence at the Show and will be creating an interactive fairy-tale mural on stand L2 on the Saturday morning – just in time for your little ones to have their photo taken against it over the Show weekend. Next door, Bumpkins photography will have a stand where they’re offering free prints of visitors against the amazing mural. For those kids wanting to look extra special, Alessandra will also be offering complimentary face painting! The Early Bird ticket price is £6 while on-the-door tickets cost £12.